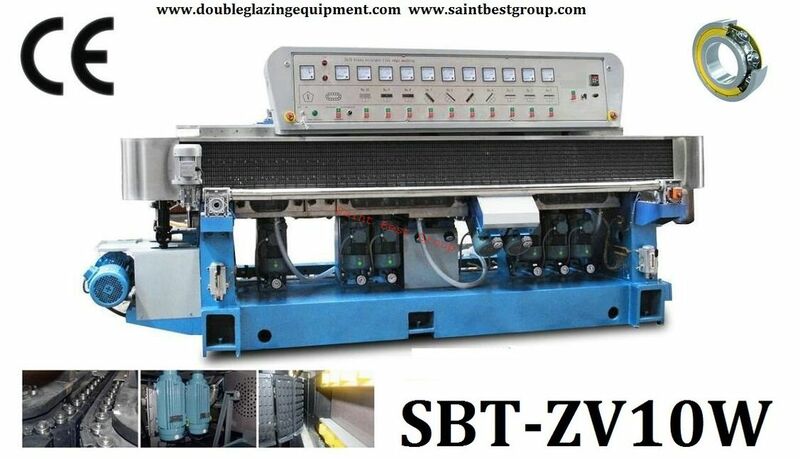 1.1 SBT-ZV10W glass edger is suitable for processing straight-line edge & 45°arrises of glass sheet with various sizes and thicknesses. 1.2 With a special design of the in-feed section for controlling the desired amount of glass removal, the operator does not need to adjust each spindle individually. 1.3 The independent felt wheel and the cerium water recirculation system can make the flat edge more shining. 1.4 With ABB spindle motors and the conveyor system running on ball bearing units,this machine has a much strong loading and delivering capacity,thus it is able to process mini piece and extremely thick piece with high precision on and good water-proof. 1.5 The input and output conveyor of the glass edger adopt timing belt which can improve the transmission precision. 1.6 Speed is adjusted by frequency inverter.Digital Display and PLC control is chose by customers.The glass thickness are showed on Digital Mter or touch screen.It is easy to operate and the glass edger has good performance. 1.7 The Rear Chain Pads washing system and grinding system can ensure the level of rear transmission. 5.Information:Why Choose Ball Bearing System for Glass Polishing Machine? Chainless ball bearing transmission system is admitted as the best system for glass edging machine. It is suitable for high class glass wall decoration, art glass, luxuary glass shop decoration, high class glass furnitures. Why? because it ensures super accurate glass size. How? briefly, because it clamps the glass tightly and conveys it smoothly. How comes this tightness and smoothness? because it applys ball bearings. 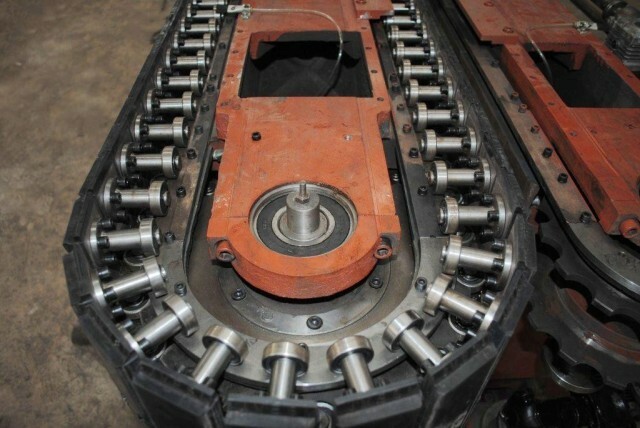 When the glass is under processing, this system ensures two thick rubber pads clamps the glass from both sides,the strength to clamp the glass is evenly dispersed to 5 ball bearing pieces behind every rubber pads, all the bearing pieces disperse the strength to the stronger casting conveyor.So the glass goes inside the beveling machine tightly and stably. Ball bearing system conveys the glass smoothly without trembling,other than friction forward as chain transmission machine does. •Low friction at all speeds. •Easy to mount and dismount. 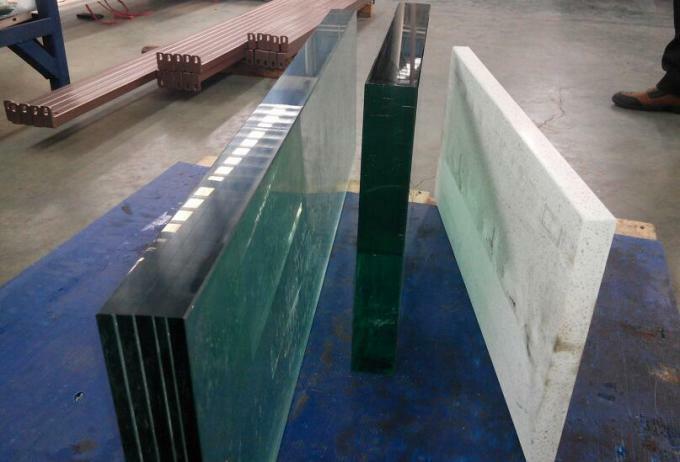 Glass arrise edge machinery glass melting furnaces used. grinding machine with 9 spindles,OGEE Bevel edge Glass machine with Pneumatic Polish system.